Daniel Brühl has, until recently, been in the enviable position of having a large body of outstanding film work to his credit without necessarily crossing over into the household-name category. His German/Spanish heritage and multilingual upbringing mean he has slipped with ease between German, French and English-speaking roles, which have amassed him an impressive number of awards around the world. This ability was exploited to perfection by Tarantino in his first mainstream success, playing Nazi-with-a-heart Fredrick Zoller in Inglourious Basterds (2009). His extraordinary performance as Niki Lauda in Ron Howard’s Rush (2013) saw him perfect an Austrian accent to add to his capacity for full immersion and attention to detail in a performance. Brühl has been an important part of powerful ensembles and has shared star billing in the past, but with new 10-part period drama The Alienist – which has already been shown in the US on TNT and comes to UK Netflix in April – it is the first time that he has been the title protagonist, on whom the 10-hour spectacular hangs. 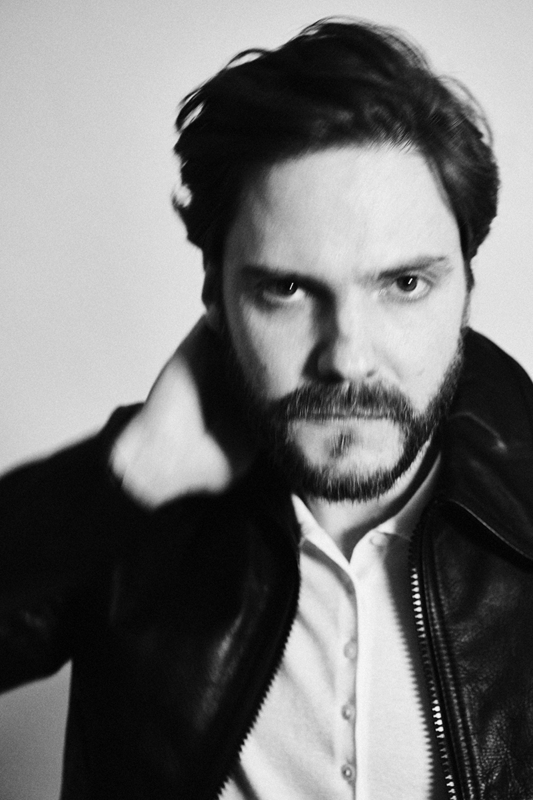 I’m speaking to Brühl by phone; he’s in Italy, shooting a Hugo Boss campaign – further evidence that his star is burning ever brighter – and I wonder how he coped, carrying a production. Daniel Brühl: I got a little bit nervous when we started and felt a certain pressure, but actually I kind of forgot that and got rid of the negative nervousness, and quite quickly it became a positive excitement, because it was mainly a joy and a privilege. And is this the first time you’ve worked in this format, for a big-budget TV production? Yes, and the reason I wanted to get involved was because I was watching everyone else in different, great shows and I kind of felt envious of those actors who have the luxury to explore a particular part, spanning so much time with it. Yeah, because sometimes you feel a bit restricted on movies, it’s sort of even more pressure because you feel you have to get to a certain point really quickly and land moments after minute 10. Then there are only 80 minutes left. So it’s wonderful to have that long arc, especially when it’s an adaptation of a book which is as rich with detail as The Alienist is. To not have to thin it down. The 1890s, when The Alienist is set, are a very rich and important period for psychology and psychoanalysis, aren’t they? Exactly, it’s the beginning of so many fascinating things. Psychology was just born, or accepted as a science, 20 years prior to the period we are covering in the show. The guy I’m playing was a real pioneer; it was shocking to society. They had to face many obstacles because of their liberal, progressive thinking. It’s also the beginning of criminal psychology, of forensics, all these things that we take for granted nowadays. Did you base Dr Kreizler on any historical psychologists? Oh yeah. I was inspired by psychologists, especially the famous guys in Vienna like Freud and Jung. I collected ideas and inspirations from all of them. She was the best support I had. It was pretty handy for me to be married to a true Alienist! She helped me until the very end, read the scripts, gave me advice, said which things were accurate and what wasn’t, she gave me stuff to read, put me in touch with psychologists, so that was crucial in the whole process. We’re shooting in May and June. I’m very proud and glad that I can collaborate with Julie again. I’m going to be in the film, but also produce. And is Delpy writing and directing? She does it all! She’s annoying, so annoying! To see someone as talented as she is... she writes, she acts, she sometimes even composes the music. Yeah, really annoying! Yes, it was a very intense ride with [director] José Padilha. I was a huge fan of his since I watched Tropa de Elite  and, obviously, Narcos . Again, it’s a period piece, but set in 1976. On the one hand, it follows the story of the terrorists involved, and then on the other hand, the government in Israel trying to deal with the situation and pull off quite a remarkable military operation to rescue the hostages. You’ve been in a lot of high-profile movies but maybe managed to defy the negative aspects of celebrity, due to your range and choices in the past. Is this growing increasingly difficult as you become what, in the industry, would be termed as “successful”, despite your previous accomplishments? With your hair on fire! With my hair on fire! [laughing] If you don’t do certain things you can live a pretty relaxed life. It’s only now and then that you run into some kind of psycho, but I’m quite lucky. I always try to do different things and move around a little, I guess because I was born into a mixed family. I always had the desire not to be limited to one market and one country, so I work in different places, and that has been great. So certain people know you in all these different places but it’s not like you’re a local matador, like other colleagues of mine, where the whole country goes mad when they see you. You came to prominence in the German film, Good Bye Lenin! , where you played a very sweet, caring boy, and as your career has developed, you have been drawn to much darker roles. I was watching The Cloverfield Paradox  the other night in which your character – “Don’t trust Schmidt” – might have a dark side in a parallel universe. Which sort of parts do you prefer to play? The interesting offers that I started getting outside Germany, and the direction in which they went, with me playing the villain or not the most likable character, was something completely new for me. I prefer it, it’s always interesting to explore darkness. I think we all have it in us and keep it hidden and cannot express it openly so often. I mean, I still do; people who know me will know that! But it’s interesting to explore that side. Was there a film or a performance that you remember inspiring you to become an actor? Rocco and His Brothers  by Visconti is my favourite film and that made me want to become an actor. I think an unreachable master of our craft, the most charismatic film actor ever is Marcello Mastroianni. So when I was young I tried to do things like he did, in front of the mirror. Unfortunately, it never worked out! How do you feel when you watch yourself on film? I hate it! I cannot stand myself and it’s actually getting worse and worse! By the third time I really can relax a little and have an idea of the film that I did because I am looking left and right, you know, without worrying about my nose and my mouth and what is coming out of my mouth, and all that! You somehow have time amid your acting/producing/modelling schedule to be a restaurateur. Your tapas bar Raval is a Berlin hotspot. How do you fit it all in?! Can you cook yourself… do you have a signature dish? When I cook it gets complicated; I still have my phone on loudspeaker, calling my mum, and she is telling me what to do! I can cook something like Spanish tortilla de patatas and I can also do some German dishes like a proper Christmas goose; that’s a bigger challenge – every third goose is yummy! With our time up, Brühl tells me how much he’s looking forward to heading back to Berlin to see his family, particularly his 17-month-old son, who started saying “Papa” three weeks ago. Based there, he tries to get to the city of his birth, Barcelona, as often as he can too, where a combination of “the mountains, the ocean, the people, the light... really calms me down”, but in truth this is a man so chilled and grounded it’s easy to forget that he’s in the midst of promoting three projects at once!